LM is privileged to announce a new hire in our Athletic Department. Marvin Sanders will be serving as the new LMS Athletic Director. We are grateful for the service of Nasser Salim, and wish him well in his next chapter. Marvin has his masters degree in Sports Management and brings unique skills, athletic experience, and passion to the position. Marvin’s positive outlook on academics and physical development will give coaches and student athletes the foundation they need for leadership on the field or court. He will be starting on August 27, and we encourage you to warmly welcome Marvin to the LM team! The vision of becoming an Athletic Director stemmed during my time in Oxford Area High School. I was a strong advocate of athletics and academics. After high school I went to Millersville University to continue my academic and athletic pursuits where I graduated with a degree in Business Administration and Management, and then to Arkansas State for a masters degree in Sports Management. The values that I have implemented in my life and placing Christ first, guided me to become a boys’ basketball coach for the Penn Manor 8th grade team. 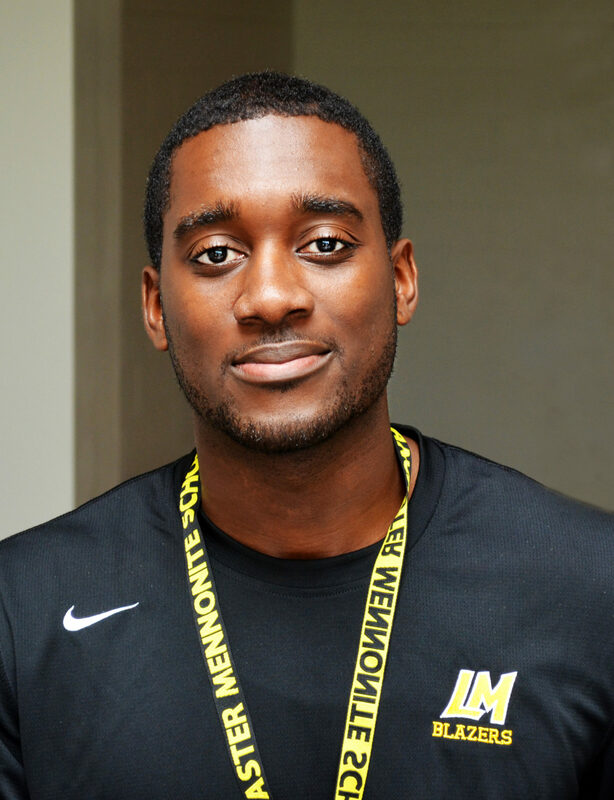 Additionally, I served as a volunteer Varsity and Junior Varsity coach while attending Millersville University. For the time that I could have also spent socializing while at Millersville, I instead spent that time shadowing college and high school athletic directors because my endeavor was to become an athletic director. I am excited to join LM because my passion in life runs deeper than just for athletics. The ability to influence, lead, and motivate others through Christ is the main priority. Through God’s guidance, I am given an opportunity to generate a positive change in the lives of our student-athletes so that they can succeed in their academic and athletic careers. Thus, developing fortified young men and women of the future. I am excited for the journey at Lancaster Mennonite. I look forward to joining the team!